I CAME. I SAW. I DESTROYED! 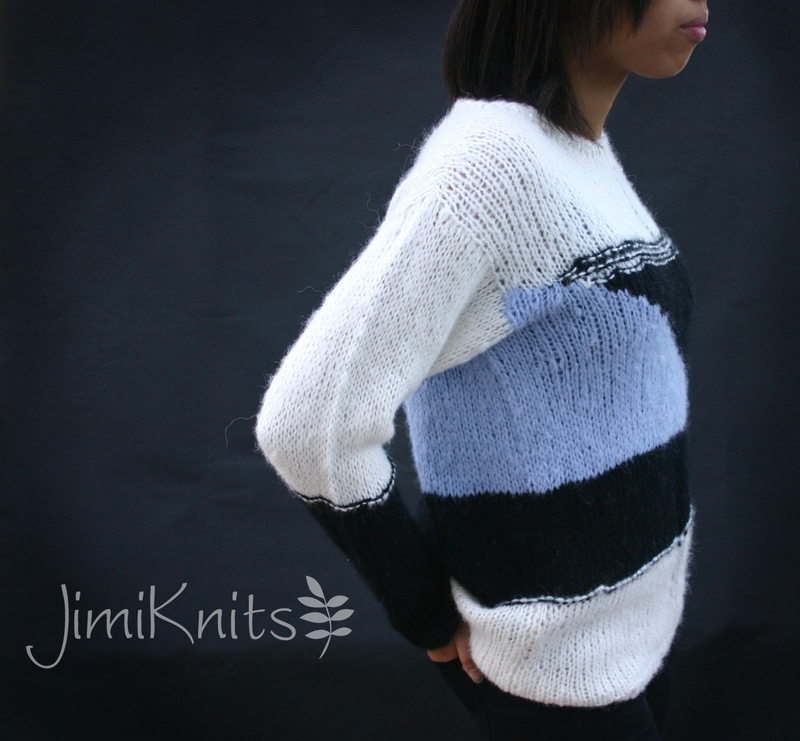 | JimiKnits… and other bits. Jimi… she knits and does other bits. I CAME. I SAW. I DESTROYED! 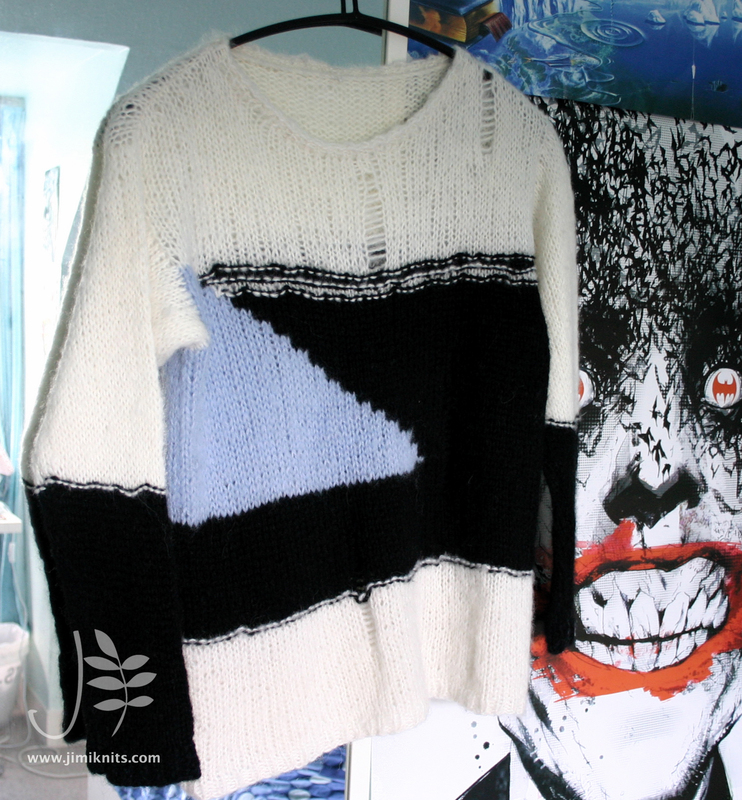 My teenage daughter came to me with a photo of a sweater that looked like whoever wore it had stepped on a land mine! Yes…. anyway, I was delighted that she finally wanted me to knit something for her. Me: Hang on, let me get this right, you want ME to knit you a jumper, BADLY??? Me: But this jumper is messed up in so many ways, why don’t YOU make it? DD: Because I can’t KNIT!!! Me: Does that really MATTER??!! Well, I gave in and hunted through my yarn stash to see if I could find something fluffy and annoying. I dug out a few balls of Soft Alpakka from Sandnes Garn that I had put aside for a “Killing” jumper. It had been sat there for well over a year waiting for me to get on with it, but never did. In fact, the yarn is not as annoying as it looks. It is INCREDIBLY soft! It has 80% baby alpaca and 20% acrylic. Most alpaca yarns have a slight prickly edge to it, but not this. Normally I would stay away from anything acrylic too, but this one had won me over. I was a teenager of the ’80s, so at least I could channel my inner punk and be creative while I knit. Apart from taking down measurements and a quick sketch, all the design was done on the needles. Every now and then I would deliberately drop a stitch and allow it to run. In most cases, the run would only go for about 3 rows, so I had to force it down to get a proper run. I only had 2 balls of black, so to economize, I added light blue intarsia block. I don’t know what I was intending to achieve with this shape or method, but as I said, there was no planning… just doing! I really enjoyed knitting on the fly like that. It was fun! 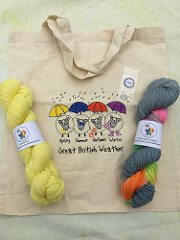 < Previous General News, Updates and Goings on! Next > Getting Cranky (in a Happy way)! It turned out well! Did your daughter like it in the end? It’s funny how the simpler things are often the most appreciated by our relatives! JimiKnits Pattern Collection on Ravelry See the whole collection. Buy online. Enjoy at your leisure!